Just finished reading Ransom Riggs’ Miss Peregrine’s Home For Peculiar Children and I loved it! But first…..have you guys seen the posters for Tim Burton’s new movie, Abraham Lincoln, Vampire Hunter? Seriously, this is not as weird or dumb as it sounds. Me: Aaron! Did you just see that?! Me: That movie! It’s a book, that I already read. Me: No, Aaron, don’t you see? EVERY book I read! Aaron: Brittany, I said that’s really cool. Me: Never mind, I’m just saying I have a gift here. Aside from no one caring about my obvious talent for choosing books, there are some other things that bug me about the whole book to movie thing. Like I hate that they print books with the movie covers, I mean is that necessary? Why do I need a book with some actor’s face on it? Especially when the author went to all the trouble picking out a cover they felt represented the book? And I hate that everyone starts talking about the book like it’s this new amazing thing when really it’s been out forever! For instance, I read The Time Traveler’s Wife in 2005 and then the movie came out in 2009. So for four years no one gave a damn, and then BOOM! People see a movie trailer with Rachel McAdams (who I adore!) and everyone and their mother loves the book. Kills me. Kind of creepy right? I first came across this book on one of the many days I was studying for the bar at the Barnes & Nobles by my school, and the vintage(ish) cover grabbed me. 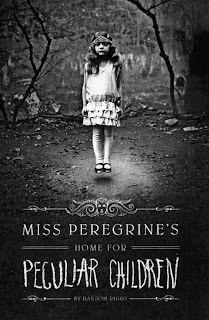 As you can tell by the trailer, the book is primarily about children with unusual abilities and their headmistress, Miss Peregrine. But the book is so much more than that! Our main character is Jacob a 15-year-old boy who was unfortunate enough to discover his dying grandfather and learn of his last wishes. From there, Jacob’s mission unfolds. He is supposed to find the mysterious island where the peculiars live and learn their secret. I can’t really give much more of the plot away without spoiling the book for you but I will say that the ending was left open and I foresee a series developing! So what did I love about the book? Well, it isn’t a sugary, corny young adult book. Riggs wrote the book in a way that leaves you feeling unnerved, but in a good spooky way. Also, the story is supported by various photographs, which are laced throughout the book. And get this; nearly all of the photographs are authentic! Apparently, there are collectors out there who find and amass random, unique pictures. Riggs borrowed some of these photographs and has brilliantly integrated them into the book. Don’t worry; it’s not a picture book by any means, the pictures only add to the atmosphere Riggs has created. On a side note, I would recommend that if you plan on reading this book to buy an actual copy and forgo a Kindle or Nook version. The cost isn’t much different and I just feel like this is one of those books that should be held. And onto the next….. I’ll be starting Jay Asher’s Th1rteen Reasons Why. Update: Okay, so remember my knack for picking books?! 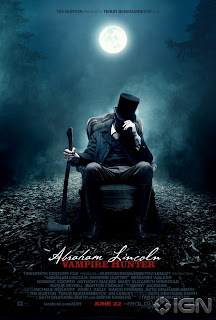 Well ..... while I was searching online for the book trailer to post on here I found out that they’re making this book into a movie!!! Freaking random, but I told you!! See now y’all can read it before a movie trailer comes out and be like “Oh, Miss Peregrine’s Home For Peculiar Children, I read that ages ago.” You’re welcome. Thank you!! I'll bring it when I come out, you're going to love it.